Small plates are great fun for parties. And small plates give everyone a chance to sample lots of dishes without too much guilt. These Blue Cheese and Bacon Sliders are flavorful and easy to make. I’ll serve these on mini onion rolls. I added the cheese, bacon, chives, and sour cream, for moisture, into the hamburger meat. It seems to make sense rather than pile these on top of such a small sandwich. 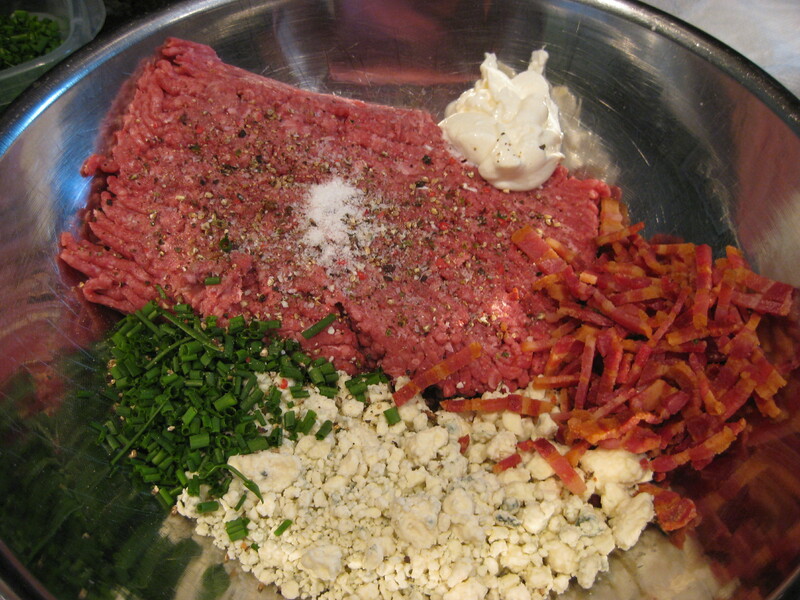 Combine the beef, blue cheese, bacon, chives, sour cream, salt, and pepper in a large mixing bowl. 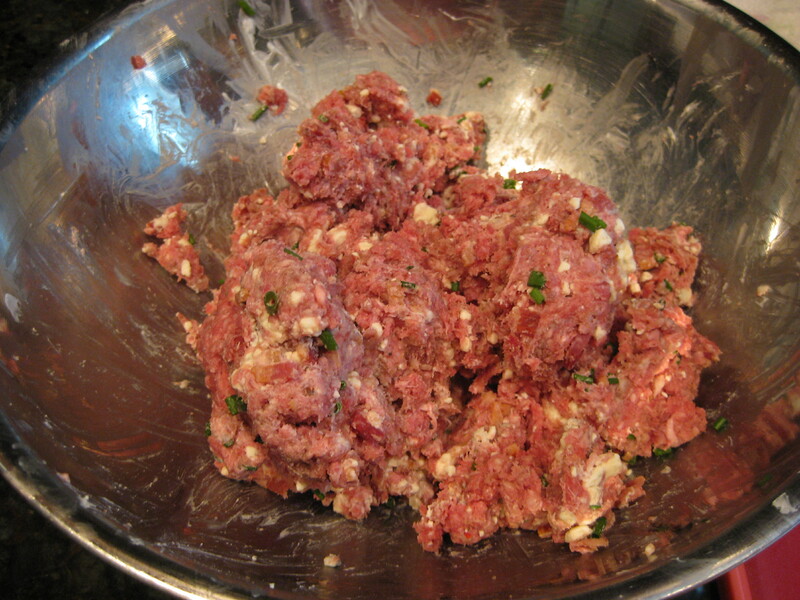 Use your hands to knead the ingredients into the ground beef. 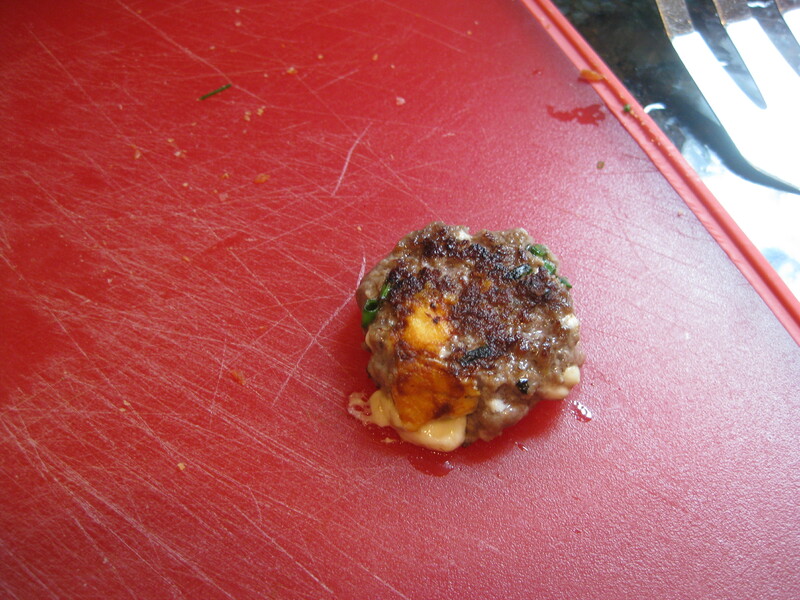 Form into a 1 1/2 ounce meatballs and flatten. Refrigerate for a couple of hours. Cook and serve, or freeze. Cook’s tasting sample – delicious! Make these Blue Cheese and Bacon Sliders for parties. Small plates are lots of fun for you and guests – and it feels guilt-free because of the size! Combine chuck, cheese, bacon, sour cream, salt, and pepper in a large mixing bowl. 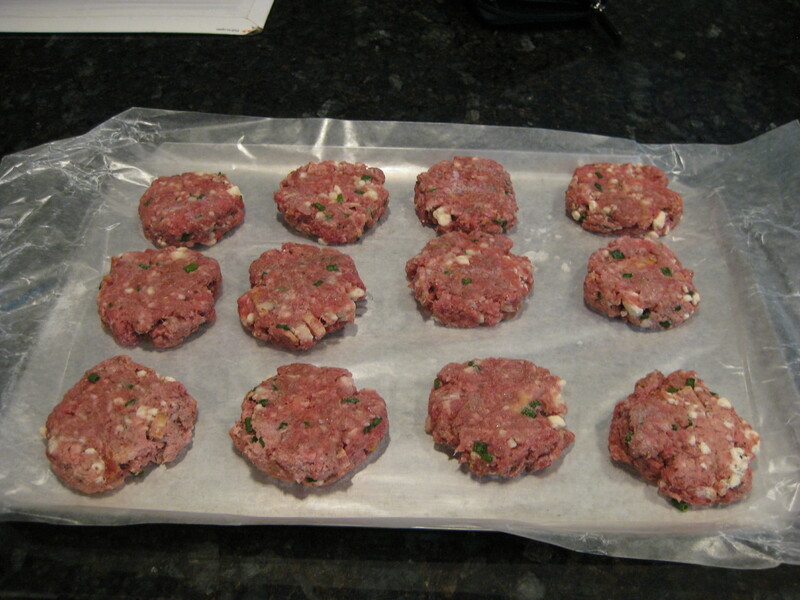 Measure 1 1/2 ounces for each slider, roll into a meatball, then flatten. Refrigerate for a couple of hours and grill, panfry, or freeze for a later date. Garnish: Slice of cherry tomato, sprig of watercress or arugula, served on a mini roll.